Head Over Heels for a light read – Joyce's mystery and fiction book reviews with some non-fiction too! Many years ago, I began to order British books from Amazon UK. One of the first novels that I received was by Jill Mansell. I continued to enjoy her light, funny and romantic reads as late night books. More recently, the novels have been available in the US through Sourcebooks. 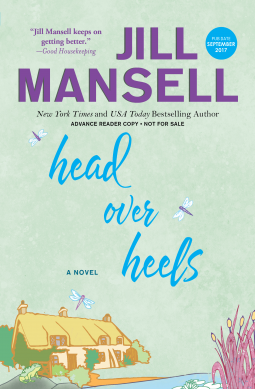 Head Over Heels, my most recent read, reminds me of a modern Shakespearean comedy as couples come together, move apart and come together again. If you enjoy a fun read, all the while knowing that all will turn out well, this could be for you.